Day 1499 - So long, March! Hello, April! I think it's neat that the last day of March is Day 1499, which means that April first will be Day 1500! No big deal really, but I kind of like THE TRANSITION. 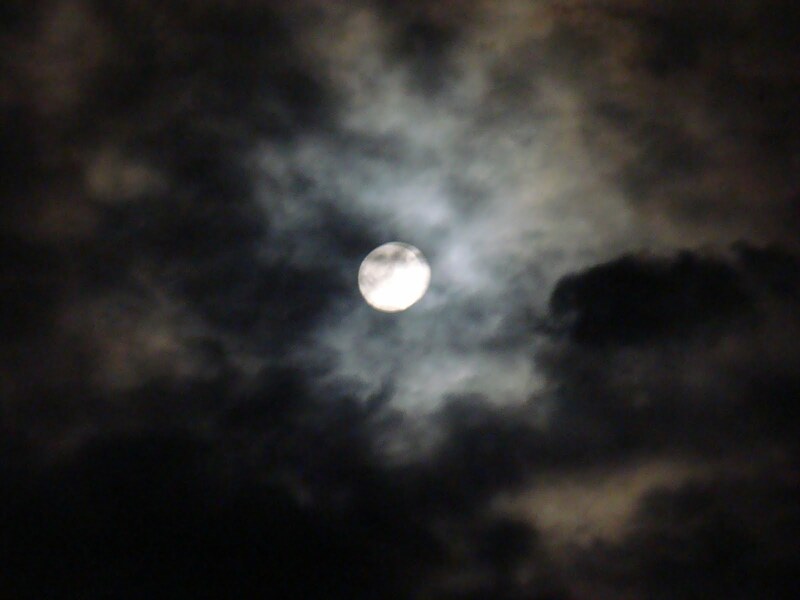 Have you seen the full moon? I guess not in the rainy areas of the country, but it is beautiful here. We watched 'Live Free or Die Hard' last night. It is violent, but it is really creative and different violence, like taking out a helicopter using a CAR as a weapon. Brilliant. Tell me this... What is it about movies where anyone of any fitness level wearing any kind of shoes seems to be able to RUN and RUN and RUN forever without getting tired? I couldn't run very far, even if my life depended on it, but in the movies (or cartoons), I certainly could. TTFN and have a nice March-end! March is almost over, and I am trying to think of one good April Fool joke to play later this week. I have never been good at practical jokes. The only decent joke I played was substituting sugar for salt in the sugar bowl when I was a kid, and my father got super, duper MAD for all my trouble. Oops. Here is Savannah, getting her wings. Isn't that an ADORABLE expression on her face? She knows something wonderful is happening. I need to tell a quick story from yesterday. After agonizing over what to cook for dinner - inspiration overtook me. I HAD MY MOTHERS HOMEMADE BREAD SITTING IN THE FREEZER, WAITING FOR ME. I had the most delicious roast beef, turkey and pepperjack cheese on perfectly grilled HOMEMADE BREAD. (Deep and happy sigh of satisfaction). I have a hugely busy day today including WORK. For real. WORK. Wish me luck and have a nice Tuesday! TTFN! Day 1497 - Is it Rubeus or is it Rupert? Send an OWL to let me know! I had an epiphany (a sudden realization) after watching Survivor on Wednesday. Hogwarts has been keeping important information from us Muggles! 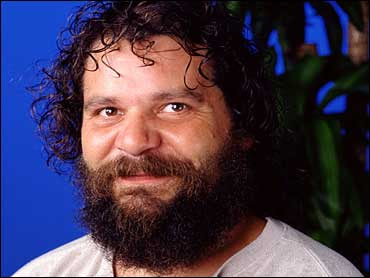 Rubeus Hagrid of Harry Potter fame is living among us Muggles as Rupert Boneham, of Survivor Heroes fame! Look at the eyes! Look at his expression! Look at the HAIR! 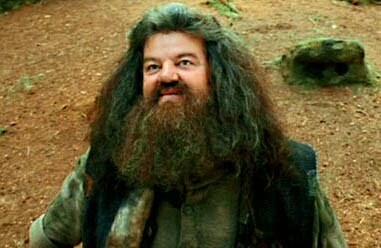 It's Hagrid, people! No wonder he loves Survivor, living out in the wild with the animals and spiders and snakes and such. Day 1496 - It's Spring! Time to go shopping - in the closet! I can't hope to have an outfit as cute as Savannahs (check out the boots! ), but with the changing weather, I had to go shopping in the guest room closet today. That means find some clothes I had put away, and might want to wear in the near future. Then I try them on to make sure they still fit, and if the answer is YES, I toss them in the washing machine. After the clothes move to the guest room closet, I forget what clothes I have, and where they are. They get mixed in with lots of other clothes that I NEVER wear or may NEVER fit. That's just the truth. I will also admit that the guest room closet is still full of empty boxes (including shoe boxes) that I 'might' use sometime, Christmas wrap, suitcases, seasonal pillows, and lots of other stuff! I really need to work on the cleaning out the guest room closet AND my closet, but that ain't happening anytime soon. TTFN and instead of shopping at the mall - go shopping in your closet! Day 1495 - Last Saturday of March! Greetings, Bloggy Weekenders and March Madness Watchers! Here is a picture of Savi that I haven't posted yet - she has a very 'I know you're trying to make me laugh' look on her face. I don't have an answer, either. Actually - grownups act just as insane around PETS as they do around little children. Immediately, the baby talk begins, then the cameras come out, then the treats and bribes show up! Am I wrong! Nope! Changing subjects - time for two COMPLAINTS. I might spend more money than I should, but at least it is MY money. What about when your money is used irresponsibly and you can't do anything about it? Charlie filled out our census form promptly and sent it in. We have received multiple mailings before and after reminding us to fill it out and send it in. We (as taxpayers) are paying for that! Our health club dues are automatically paid via bank draft each month, yet we receive a statement AND an ENVELOPE in the mail every month. Of course, our FEES pay for that waste. 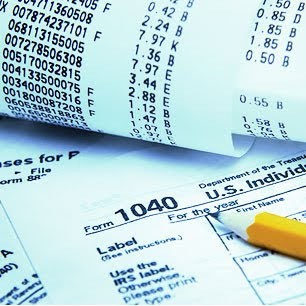 Why doesn't anyone notice that it is fiscally wrong to do that? Day 1494 - The last Friday in March is here! Here is Little Miss Celebration, excited as she can be with the bubbles. The awesome dress was a gift from Aunt Nancy, if I haven't mentioned it lately. Savi was so entertained by the bubbles (from Auntie Lyn and Uncle Steve), and some sticker books I brought, that Heather actually got to sneak out and run an errand without her noticing. (whew!) Auntie Cheryl and I kept her entertained out in the kitchen. I just bought a few more sticker books for Easter to send along, I'd better get them in the mail! We had rain and thunderstorms yesterday, but today those are supposed to be OUTTA HERE. I hope you have a great Friday, and a great weekend! TTFN! Day 1493 - Is it Friday Eve? Is it Friday yet? No, but it feels like it! Here is a picture of my son, recuperating from a birthday party food coma. Looks comfy, eh? Or - another way to put it is just plain crashing out. You can choose your version. Yesterday was a BEAUTIFUL weather day - mostly sunny, low 70's. No jacket or sweatshirt required. People go crazy here as soon as a warm sun comes out. I saw lots of people in shorts and t-shirts, and it wasn't really warm till the afternoon - the day started out in the middle 30's! Today I'm having lunch out in Nashville, then I have a doctors appointment in Columbia, then need to go back to Franklin for another doctors appointment. I'd better get some gas. We're also supposed to have thunderstorms today and high winds. It's been a few days since I have posted a photo of Savannah, so here goes! Doesn't she look older than 'just turned two'? Look at her expression! She knows what's going on. It is supposed to hit SEVENTY degrees today - can't wait! There are LOTS of daffodils in bloom, and the trees are starting to bloom as well. I've even seen a few forsythia blooms trying to open. I need to start moving some warm weather clothing from the guest room closet back to my closet, but I'll throw it in the wash first in case it is dusty (I will be itchy if I don't). I have a busy day today - TTFN! Day 1491 - Lions and Tigers and Bears, Oh My! Todays photos are of the BEAR that came to visit our cabin each night in Gatlinburg. Well - two of our group thought it was a bear. I could tell by the tracks that it was a raccoon. Raccoon tracks do look like bear tracks, only much smaller! Rocky-Top Raccoon (I just named him) had an overnight routine of visiting the tourist cabins, knocking over the trash can, taking off the top, and pilfering the edibles. (I keep trying to get some line breaks in this section and Blogger is not cooperating). Sheesh. Two of the ladies in our group who were rooming on the ground floor heard it, and were convinced it was a bear, not daring to chase it away for fear of retaliation. Thankfully, Rocky Top didn't scatter the garbage very far, unlike a dog. If I were the cabin rental people, I would invest in one of those trash cans with the metal clamps on the lid. End of problem. Day 1490 - Hey! It's Spring! Here are some spring flowers (silk) on the deck of the cabin we stayed in when Spring arrived. Another thing I should mention is that Survivor is on this week on WEDNESDAY, due to March Madness basketball. Nancy - set your recorder! The last thing I want to say involves watching 'The Amazing Race' last night. I am not sure who said it - either Jordan or Caitlin. One of the tasks was to find a statue of Joan of Arc in France, then find a clue. Her boyfriend, disgusted, said 'That was Noah. Noah's ARK'. Day 1489 - Sunday and Home Again! Here's a photo of the living room at the cabin at Eagles Ridge North we just returned from. There were 6 of us gals, and we shopped and ate and shopped and ate and ate and shopped all weekend. Thanks, everyone - especially Debbie for doing so much of the driving and all of the arrangements. No time for more bloggage - I need to unpack and do wash! Day 1488 - Spring, spring, spring! Spring makes me think of trees in blossom, and the warm sun, and doing things like going to the park. This is a photo of one of 'grandmas' birthday gifts for Savannah. It is a FOLDING, portable tricycle that Savannah can use at the park. It is a Radio Flyer Fold 2 Go trike. It is totally adorable, and Savannah is learning to ride on it. She could propel it backwards just with her feet, but will need to learn to use the pedals. Speaking of product endorsements - do you ever buy Fried Chicken or Chicken Tenders, or Chicken Wings at the Walmart Supercenter deli? They have a 'Pick three' bucket that allows you to choose any 3 hot bar items - various kinds of chicken, or onion rings or potatoes or mac n cheese, etc. I believe you get a pound each of those items, (or the entire bucket of one item if you prefer. I got ALL wings, and they were awesome). Anyway - the pick 3 bucket is only $10 - just try to get 3 lbs of wings for $10 anywhere else. Day 1487 - The weekend is here! It's Friday, hooray, and the weekend is HERE! Here is Miss Scientific Savannah, inspecting a plastic and silk flower for 'durability'. She loved those flowers! I don't know whether I should admit this or not - but I bought some falsies this week. NO, silly - it's not what you think - False EYELASHES. Mine are getting pretty sparse, and I don't like it. I'm just going to try them and see if they work, and how long they last before they fall off. Has anyone ever tried them, and what did you think? They were only $6 at Squall-Mart. By the way - I don't know WHEN I will try them, it might be the same as my taxes and I'll 'get around to it' someday. Check out the little butterfly headband from the birthday party... Too cute! One of the butterflies fell off, my son fixed it, and as soon as he set it back on Savi's head, the OTHER side fell off. It was funny at the time! Here's a funny story from the other day. Charlie was out of town, and I did the 'stereotypically manly' chore of going to the dump. There were 3 cars total at the time, also using the 'Convenience Center' - and guess what? Changing subjects - spring is about to spring around here. I saw some ornamental cherry-type trees about to blossom today - that is even more exciting than the convenience center story. Day 1485 - Happy St. Patricks Day! Happy St. Patricks Day! Wear green today if you remember to. The guy on the left in this photo reminded me of the way George Clooney danced in the last 'Man of Constant Sorrow' song in 'Oh Brother Where Art Thou'. Corned beef and cabbage, potatoes, beer. That ought to do it. 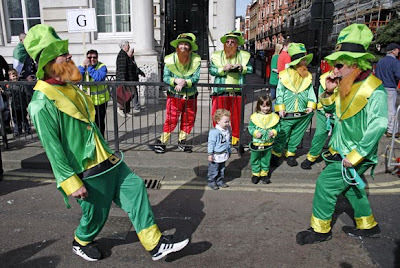 Have a great St. Patricks Day, and TTFN! Day 1484 - I DID IT! That is a big 'check off' on my 2010 list, you know. I watched a movie the other day on cable named 'Reign of Fire'. It was set in London, where a fire breathing dragon was awakened by a construction project, and rapidly began to eradicate the humans in the world. By 202o, there were only random groups of refugees left. It was just an 'ok' movie (featuring an almost unrecognizable Matthew McConaughey), but what I wanted to say was the movie said that dragons were responsible for the extinction of the dinosaurs millions of years ago. That's as good a reason as any! Don't forget to wear green tomorrow - it's St. Patricks Day! Can you believe it is the middle of March already? The outfit with the peace sign is actually a dress; a present from Aunt Nancy (awesome! ), but you can't see all of it in the photo due to the ballerina skirt she also has on. And check out the socks and boots - too cute!! She likes to sing and do the motions to 'If you're happy and you know it'. She's so smart for just turning two! Yes, that was a typical grandmother statement. Spring is springing here, by the way. We had a few early blooms on the forsythia yesterday. I bought a pot of tulips the other day (on clearance for $3.99) and they were just buds. They are fully open now and simply beautiful - white with a pink stripe on them. I need to plant them in the yard after they have gone by... or maybe Charlie will plant them for me. Hey - how are y'all adjusting to the time change? Are you tired? Have you set all your clocks forward? Charlie set the clock in my car for me, I can never remember how. Here's a real birthday action shot of Savannah bouncing. She loves to jump! I'm bringing Mom to the airport this morning as she returns to the frozen north. Meanwhile - it is spring here! I saw some little leaves on some branches yesterday while we were having our walk, and I've heard the peeper frogs a couple of times. Charlie's aunt was trying to call the social security office. She kept hanging up, saying that every time she called, she got connected to a restaurant. Charlie's sister dialed the number, and listened to the options on the recording. Charlie's aunt answered "Because every time I call it says 'Select from the following MENU!' "
Uhhhh - and that is important WHY?? TTFN and have a nice rest of the weekend! Here's a cute photo of Savannah blowing out her birthday candles. She did a good job! I'll just tell a quick story or two from yesterday before we leave to go for a walk at the park, then to Cracker Barrel for breakfast. At the hospital yesterday (I had a mammo appointment), you remember that we went for breakfast for custom made $2.99 omelettes. The chef making the omelette was friendly, and I said - 'This is my favorite part of going to the hospital!' His answer was 'I thought you would say LEAVING is your favorite part of going to the hospital!' We all laughed about that. A short time later, Charlie, my mother and I were waiting to enter an elevator. Two maintenance men were in the hallway with us, and smiled while we waited. I looked at him and said 'A CROWD? You have a CROWD? You think my mother and I are a CROWD?' Charlie didn't dare answer, he wisely just stammered a little. I gave him a swat on the arm, which the maintenance men loved. I am still laughing about the CROWD. Well, we're bringing the CROWD to Cracker Barrel. Day 1480 - Friday, Hooray! Here is a photo of Savannah with her newest dolly - a handmade Raggedy Ann. Just look at her expression, it is PRICELESS! Speaking of priceless - it's Friday, Hooray! Yesterday my mother made homemade bread (YUM-O!) and Charlie made chili, which we ate while watching Survivor. How is that for a great day? This morning we are leaving early to go out to breakfast at the St. Thomas Hospital cafeteria. Custom omelettes for $2.99. I hope everyone has a great Friday and a great weekend! TTFN! Day 1479 - Friday Eve! Greetings, Bloggy Waiting for the Weekend-ers! Here is Savannah in her 2nd birthday outfit, complete with butterfly wings. Please note the curly pigtails - her hair is getting long enough to 'decorate'. I like the statuette-like pose she is assuming. Soooo - what's happening out there in blogger land? My mother is visiting, and is enjoying going places without having to wear a coat! We've had to have the air conditioning on periodically, in the car and in the house. We have had two good weather days, but this morning it is raining steadily. Maybe today will be 'make homemade bread at home' day! Sound good? You BET! Heather - I'm so sorry that I chopped off your head, but I love Savannahs expression in this picture! I think she is happiest when she is in your lap anyway, so it is appropriate. Marcia - I watched 'Moon' yesterday, and Mom and Charlie watched the beginning and ending and napped in between. It was slow but interesting. I made a New England Boiled dinner last night, which was a big hit. We had corned beef and cabbage, potatoes, onions, orange carrots, yellow carrots, parsnips, and turnips. My mother suggested serving a little mustard on the side for the corned beef, and I liked it! I'd never actually had mustard with hot corned beef. My mother and I are hitting 'Shopryland' today, and maybe a movie too. Have a nice Wednesday, and TTFN! Day 1477 - Twofer Tuesday! 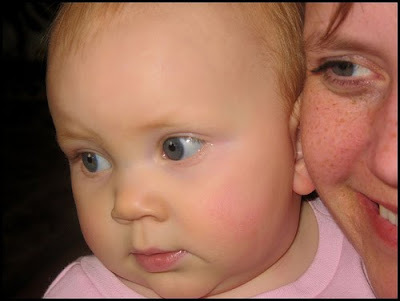 Todays photo is of our two year old birthday butterfly, Savannah, with Auntie Cheryl. Too cute! Savannah was very good about wearing those butterfly wings on her birthday. We were surprised she didn't pull them off - she loved them! The next day she also pranced around with a ballerina skirt on. We had a very smooth trip back to Nashville yesterday, arriving early. Charlie was there to meet us and 'wrangle' the luggage. Thanks, Charlie! Buddy Joe made dinner for us last night - meaning I defrosted the container of Brunswick Stew he brought us over the holidays, which we had with Panera sourdough bread. Thanks, Joe! Have a nice Tuesday, and enjoy all the birthday photos I'll be posting! Yes, it's Monday and our wonderful birthday weekend is drawing to a close. We couldn't have had a better time. 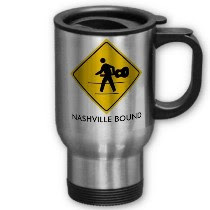 My mother and I are Nashville bound this morning, and I hear it is going to be in the 60's today. THANK YOU THANK YOU to Lyn and Steve for EVERYTHING. You are the hosts with the MOST, and calmly accept all the pandemonium when we (the FAM) regularly descend upon them! We are packing up and having some breakfast before going to the airport. Day 1475 - Birthday Plus One! Here's another favorite birthday picture from last year. Of course, I have taken a couple HUNDRED photos already of Savannah this weekend, I hope some of them are good! The problem is, they are mostly of the back of her head as she runs from room to room, or a blur as she hops and bounces. I know I have SOME good ones though. You would just be amazed at all the words she can say, and she knows her colors, and can count a little too. Smarty girl! We had a great day yesterday, and great food, and Savi even stayed with us at Lyn and Steves while Heather, Mike and Jen made a trip to the house and back. She was so busy she didn't notice! Hooray! More festivities and visiting today - and tomorrow my mother and I return to Nashville. Day 1474 - Happy Second Birthday, Savannah! Today is Savannahs Second Birthday! 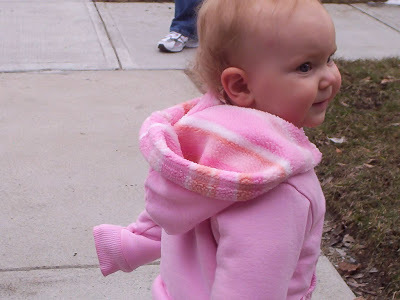 Here is one of my favorite photos from Savannah's FIRST birthday celebration. Isn't she adorable? We had a fun day yesterday, and Savannah did too! One new adventure - hiding with Grandma Gigi (that would be me) under a blanket, with a FLASHLIGHT! Savi had a great time hiding with me, and had the CUTEST expression on her face. We also went to Randolph, MA to get our Calzones and made a side trip to the LL Bean store in Mansfield, MA as well. Couldn't have been a nicer day, and today will be the BIRTHDAY PARTY day! TTFN and I hope your day is as fun as ours will be! Day 1473 - Birthday Eve! Greetings, Bloggy Birthday Well Wishers! Tomorrow is the big day - Savannah's second birthday! We are gathered at my sister and brother in laws for the big event. I've already devoured homemade bread and lemon cake from Greggs restaurant. Another big event today is to drive to Randolph, MA to pick up the famous and delicious Sals Calzone - the best calzone I've ever had in my life. Sals Calzone is made like a rolled bread, with a thin layer of dough, then italian meats and cheese layered on top, and spinach in the center. I haven't had Sals Calzone in many years, and this is the right time to have some! We'll see Savannah later today, and Heather, and Cheryl and have a great visit. TTFN and Happy Birthday Tomorrow! 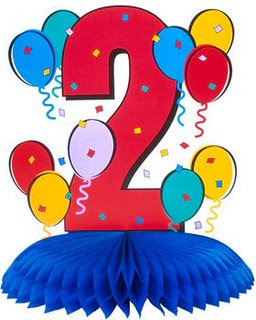 Day 1472 - Birthday Minus 2 and Counting! 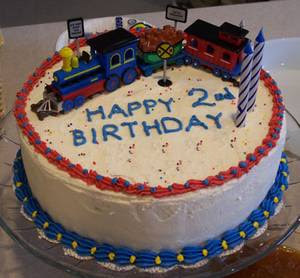 I happened to see this 'Birthday Train Cake' and decided to put it on the blog this morning, since it is an appropriate 2nd birthday! The countdown is on to Savi's birthday party on Saturday. I know Savannahs actual cake is going to be from Cold Stone Creamery. I can't wait to have some! I can't remember the last time I had ice cream cake, it's been awhile and I prefer them over regular cake. I hope that her 'Amazon.com' present from me arrives on time, but even if it doesn't, there won't be any shortage of presents. Heather has another item hidden in her trunk that she picked up for me, and I have a few other things as well! Guess I'd better go - TTFN and have a nice Thursday! Day 1471 - Midweek, a.k.a. Hump Day! Greetings, Bloggy Middlers! It's Hump Day! I usually say 'Midweek and Midlife' on Wednesdays, but I couldn't find a good photo to match that phrase. 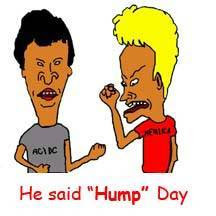 So - Hump Day it is, kindness of Beavis and Butthead. Thanks, guys. I am getting ready for Miss Savi's birthday weekend, and looking forward to lots of hugs, taking pictures, reading books, eating ice cream cake, and Sals Calzone! I am also looking forward to warmer weather this weekend! We had snow showers and a really raw day yesterday, and I am ready for SPRING, SPRING, SPRING. Maybe March will come in like a lion and go out like a lamb, but I hope it doesn't take till the end of the month for spring to arrive. Charlie and I have been having fun watching old 'X-files' reruns from the first season. The older episodes are my favorites, before the whole conspiracy/smoking man stuff kicked in and took over. That's all the news - have a great Hump Day and let us know what you'll be doing this weekend! I found this photo on the internet, and had to crop off the bottom of it due to misspellings! Good grief. I'm not going to be the one to spoil it - but I disagree with the Bachelor's choice last night in the Bachelor finale. Time will tell if Jake made the right decision or not, but it made me CRY! Good grief again! I need to seriously get crackin' and packin' for Savannah's birthday celebration, and do some minor cleaning at home too. I NEED TO DO MY TAXES AND GET THEM INTO THE MAIL! (How many reminders do I need before I get 'er done?) Good grief again. Ah well - I have a big to-do list and need to knock some things out. I put two reminders in my PHONE so I won't forget. Day 1469 - March into Monday! It's Monday March Madness, and it begins TODAY. There are so many things to celebrate in March! A few special events include Savannah's birthday, Spring, St. Patricks Day, Savannah's birthday, two of my nieces birthdays, Savannah's birthday, and some significant milestones achieved for ME, ME, ME. Also, I am GOING TO FINISH MY TAXES and mail them in! There is NO reason that I have taken so long to do that. Shame on me. Just for today, mind you. As you know, marching is normally reserved for Fridays. Changing subjects - we did see 'The Crazies' yesterday and enjoyed it. It wasn't as scary as I had imagined it would be, but you know I'm not too fussy about what I see. TTFN, have a great Monday and a great month!